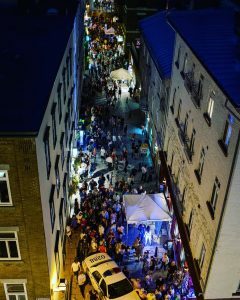 Nuit des Galeries is an evening held in Quartier Petit Champlain and surrounding area during which 36 art galleries and artisan shops open to the public and nearly 10,000 visitors show up and go exploring. The area fills with people and comes to life with pleasures for the eyes and all of the senses. Music, sparkling drinks and local delicacies take the spotlight. For one evening, art and people come together to engage in a unique and stimulating dialogue. 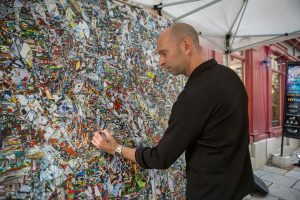 Once again this year I had the opportunity to paint live on Saint-Paul Street by Galerie Beauchamp. 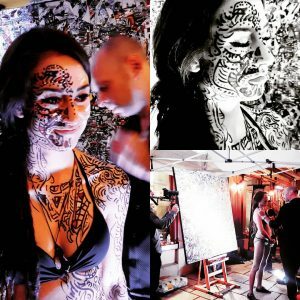 In addition to refining a painting from the Sagrada Familia collection with you , I chose to create a body painting work before your eyes; an ephemeral work that represents the tribal and spontaneous side of my art. Thanks to my friend Penelope for being my model! It was such a pleasure to spend time with you, the public, to feel your energy, listen to you, hear your impressions, to discuss art, life and my inspirations with you. 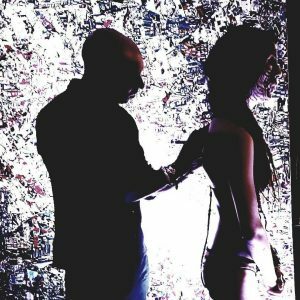 What did you like about Nuit des Galeries?